Dr Stanley Okoro offers customized plastic cosmetic procedures at his private practice locations Nigeria (Abuja & Lagos), and Atlanta, Georgia. He has an extensive experience in cosmetic & reconstructive surgery of the breast, body, and face. His priorities when performing cosmetic procedures are patient safety, superior results, and absolute confidentiality. Dr. Okoro is the Plastic Surgeon for many celebrities & VIP both in Nigeria and United States. Find out why! He has extensive experience and special interest in Facial rejuvenation, breast enhancement, breast augmentation, body contouring such as tummy tuck, (Abdominoplasty) and Laser Liposuction with SmartLipo. His Navy experience gives him an edge in facial, body contouring & reconstruction. He is a well rounded plastic surgeon with a world of experience. He was recently voted the 2011 & 2012 “Compassionate Doctor Award” by US based Patient Choice and he was listed in the “Guide to America’s Top Surgeon” 2011 edition by the Consumer’s Research Council of America. Dr Okoro is honest, sincere and easy to get along with. In Plastic surgery, it’s all on the details. Dr Okoro is a hard working and diligent Plastic Surgeon. He is certified by both the American Board of Plastic Surgery and the American Board of Surgery. He is a member of many prestigious & exclusive organizations including the International Society of Aesthetic Plastic Surgery (ISAPS), American Society for Aesthetic Plastic Surgery (ASAPS), American Society of Plastic Surgeons (ASPS), and American College of Surgeons (ACS). Dr Okoro became a surgeon at Emory University in Atlanta Georgia. He completed a rigorous five year training program in Surgery at Emory University after graduating with honors from Meharry Medical College. After his training at Emory, he joined the US Navy and served as the Chief of General Surgery at the US Naval Hospital Great Lakes for four years. While at Great Lakes, he established and served as the director of the Breast Care Center receiving many accolades for his service to breast cancer patients. He also established and served as the director of the endoscopic and minimally invasive surgery unit. After Navy General surgery, he proceeded to complete an additional three year training program in Plastic & Reconstructive Surgery at the University of Texas Health Science Center, San Antonio. While are UT San Antonio, Dr Okoro was specially trained by many famous surgeons in the most current cosmetic surgery and non-surgical procedures, which he has mastered. Dr Okoro returned to active duty Navy after successfully completing his plastic surgery training. Achieving the rank of Commander, he served as the Chief of Plastic and Reconstructive Surgery at our “President’s Hospital”, the world famous National Naval Medical Center, Bethesda Maryland. While at Bethesda, received the majority of Marine and Navy casualties from the Iraq and Afghanistan conflicts. While also at Bethesda, the headquarters of the National Capital Area Breast Care Center, he established and directed the micro-vascular breast reconstruction surgery. Dr Okoro has performed countless primary and revision cosmetic procedures for these men and women. He single handedly sustained reconstruction of war injured service men and women, while providing both aesthetic and reconstructive service to eligible dependents. He served as an Assistant Professor of Surgery at Uniformed Services University of the Health Sciences, Bethesda MD. He has received multiple awards, authored many topics in plastic surgery journals, and presented at several local, regional and national plastic surgery conferences. 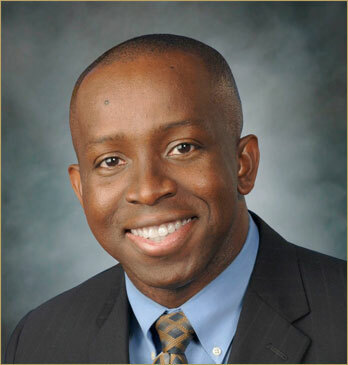 In addition to his academic accomplishments, Dr Okoro is a philanthropist and an international Plastic Surgeon. He serves as the Executive Director of Imo Medical Mission, Inc, a non-profit charitable organization. He organizes and participates in an ongoing volunteer medical and surgical mission to undeveloped countries twice yearly since 2003. Dr Okoro is a dedicated family man and has been married for 20 years. He has 4 wonderful children. Dr. Okoro’s looks may be deceiving. He may look young, but he has a world wealth of unmatched knowledge, experience, skills, and surgical wisdom. Dr Okoro brings this vast experience with him to Nigeria. Dr. Okoro is a member of the Cobb County Medical Society, Medical Association of Georgia, American Society for Aesthetic Plastic Surgery, American Society of Plastic Surgeons, American College of Surgeons.